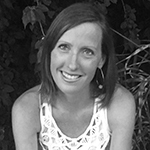 Today we are featuring Mommy Blogger, Dana Bowman! 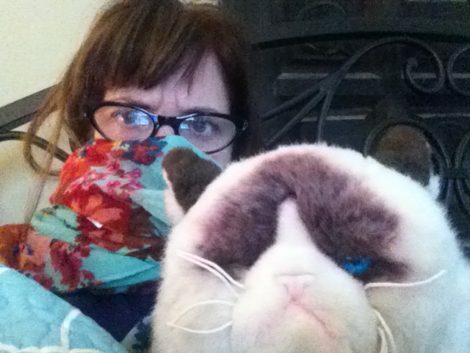 The (very blurry) photo is of me and my spirit animal, grumpy cat. I remember that day. It was cold and rainy outside and I had just tucked myself in for a nice afternoon of introversion and writing. I picked this photo because, try as I might, all I could find were glossy head shots where I look a bit dazed and frozen, like my smile is going to take off into the stratosphere, and they just don’t show me. Not really. Also, it’s blurry. I am a blogger. I am a MOM blogger. And I only have good photos in about 20% of my blog posts. My readers don’t seem to mind, but it is one of my goals this year to really try to learn a bit more about photography and stop leaning on my old iphone as the only technology out there. Change is hard. I will never have the beautifully photographed blogs of some moms out there, but alas. I have Grumpy Cat to hold, so there. And here is another pic of me and my son, Charlie. Honestly? I could NOT find any pix of me WITH MY CHILDREN. Or, I am hiding behind a tall plant or my even taller husband, or it’s blurry b/c someone is moving. You try to put four people in a picture, two of which are nutballs, and you don’t get the best quality photos. That morning was the parade in our town for our Swedish festival, and my sweet son was about to dance. I know. The cuteness. 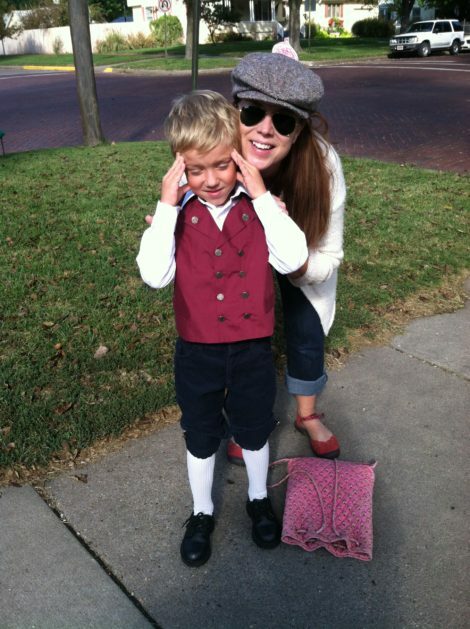 His little breeches… it’s just too much. Haha! I totally know what you mean about getting a half-decent photo! Do you wear any other hats in addition to your [big, gigantic, hugely significant] Mom Hat? When I had my second son, Henry, I hung up my teaching hat, but have since taken it back up occasionally. I used to adjunct at a local college, and I now have the illustrious position of substitute teacher at my kids’ school, a job I have found to be an absolute joy. I also freelance now. It’s funny – after I had my boys (18 months apart almost to the day) I decided, “Gee, I have so much free time on my hands. I think I’ll start writing.” And I stuck w/ it… and now I have a book and hopefully a second one on the way, and boy am I busy! But I do love it. Third hat: back up singer for Gwen Stefani. In my dreams. But, you know. I have two boys: Charlie and Henry. They are the light of my life and at times they make me want to go hide under something dark and comfortable and quiet, like a very very large blanket with chocolate sewn into it. These two sweethearts have earned the nicknames The Lawyer (Charlie, the oldest, 8) and The Nutball (Henry, 6). You better believe the Nutball takes after his father most of all. I, unfortunately or fortunately, however you like to look at it, am most likened to The Lawyer. This works well to his advantage. Ha! What is a recent mom win you experienced that took time and perseverance to accomplish? My book, Bottled: A Mom’s Guide to Early Recovery, was selected as a Kansas Notable Book in 2016. It was so cool! I got to visit the capital and I GOT A MEDAL. We had such a wonderful day, my family and I, enjoying the pomp and circumstance. But really? The best part of the day? Just talking to a few other women who, like me, are in recovery and need to reach out and talk to other mommas who are in the same boat. Healing for the soul. That’s so amazing — both on a super cool level that you won an award for your book and also on a deep and meaningful level that you have the opportunity to walk with moms in recovery like you. That’s what it’s all about, isn’t it? ITS FIVE OCLOCK AND I AM MAKING POPCORN FOR DINNER AND WE’RE WATCHING A MOVIE, AND I DONT CARE. DONT CARE. WE WILL STAY ALIVE THIS WAY. Sometimes? You just gotta try and stay sane and sober and do the whole, “put the oxygen mask on first” kind of thing. That night, I was SO stressed and tired and I could feel myself amping up into anger and frustration… and just kind of hating the idea of cooking dinner. I hung up the perfectionism and we cuddled on the couch. It wasn’t organic popcorn, either. I am right there with you on hanging up the perfectionism. And I bet your kids loved a present mom with non-organic popcorn on the couch so much better! As a mom who has battled addiction, the stigma is still out there. At times I feel huddled with shame and embarrassment. But, you know? I wrote a BOOK, so it’s not really like it’s any big secret. I do think that we moms try SO hard to keep our perfectness on point, and this only increases our numbing devices. Scrolling on the phone, shopping, comparison, Pinterest, gossip, pills, wine… We all have our “little rewards” and they work. They WORK. But for me? Satan was very very patient with my “it’s just a glass of wine” reward at the end of the night until that reward owned me. Well, it didn’t own me completely. Christ owned me, and when I was finally able to say, ‘I can’t do this. I can’t stop, but I can’t NOT stop. Please help,” He helped me. It took a lot of work and tears and hard days. A lot of praying the serenity prayer in the laundry room, crying, waiting for the fears and anxiety to abate. But he has me in his hand, and he has NEVER left nor forsaken me. Wine always did. I want to encourage anyone out there who wonders if their life has become snarled in something they can’t let go of… it can be done. But, you can’t. You’re right. YOU can’t. He can. I am living proof of that. Thank you SO much for being so honest and sharing your story. It is a blessing to me and I know all of the moms that read your words. I think there are many perfectionists out there (like me) who can relate to the way we try to push ourselves and then feel we must fake it if we want to look like we have it together. As you said, what a lie that is. Thanks for being a refreshing voice and I pray we sink into your grace-filled words that God is more than able to pull us out of what entangles us when we give the pieces to Him. That totally makes me think of the verse, “Therefore, since we are surrounded by such a great cloud of witnesses, let us throw off everything that hinders and the sin that so easily entangles. And let us run with perseverance the race marked out for us” (Hebrews 12:1). Amen and Amen. Thanks for sharing, Dana!